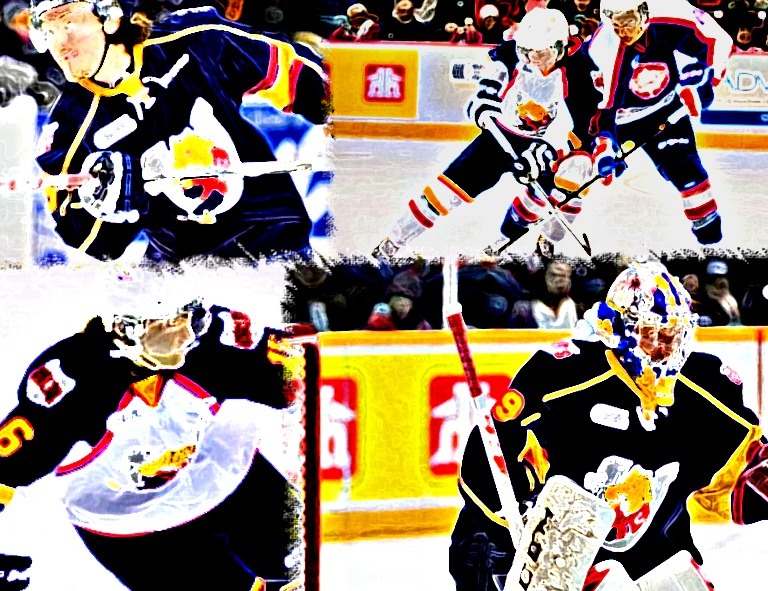 A Look at the Barrie Colts final 10 Games of the Season. #OHL - Very Barrie Colts | A website covering the Barrie Colts of the OHL. The Barrie Colts only have 10 regular season games left until the beginning of the 2015-16 OHL Playoffs. Barrie currently sits at the top of the Central Division with a 36-20-0-2 record for a total of 74 points. That lead isn't as safe as they would like it to be with the North Bay Battalion's 31-19-5-4 record which is good enough for 71 total points. As of now, they are the only teams in the division to clinch a playoff spot. Though the Colts only have a 3 point lead, it should be noted that Barrie has played one less game so they could increase that to a 5 point lead. As for claiming the top spot in the Eastern Conference, it would depend on more than the Colts performance. The Kingston Frontenacs sit at the top of the Conference with 84 points. Note that again, the Colts have played one less game than the Fronts so a win in their next matchup this Thursday over Ottawa could help cut into the lead. Barrie will need some teams to play spoiler against the Fronts though to look at their remaining schedule you can see it is not a tough one. Teams like Saginaw, Flint, Hamilton and Oshawa don't pose serious threats however it is not impossible for some of these teams to pull off an upset. Over the next 3 weekends Kingston has two '3 games in 3 nights' so fatigue could play a factor in some of these games. As great as it would be for Kingston to lose ALL remaining games, it won't matter unless the Colts win the Majority of their games. Here is a look at the final 10 games for the Colts. Thursday, March 3 VS Ottawa. Friday, March 4 @ Niagara. You look at this and you think it is pretty clear sailing until the North Bay game. It needs to be noted that over the 5 games against the Battalion that 12 of the 25 goals for came in one of the matchups. Many of these games should be a lock for the Colts and as long as none of these teams surprise us there is no reason the Colts wont finish at the top of the division. If the playoffs started today the Colts would face the Peterborough Petes in the first round of the playoffs. A lot can change though over the next 10 games. In the East there is only a 2 point lead difference from the 7th place team to the 4th place team while the 8th place team trails the Petes (7th) by 8 points. Ottawa, Mississauga and Niagara are all very likely opponents for the Colts in Round 1.
Who do you think is the best matchup for the Colts in the first round of the Playoffs? Let us know in the comments and tell us how far you think the Colts will go this year!